Take control of a giant Ape, Lizard, Wolf, Spider...even a Penguin and a Giant Bunny! Unlock every character for free! Take your highest scores to the leaderboards and beat your friends! - 52 monsters to unlock and wreck havoc with! - Monsters have different strength and skills, find your favourite! - Take each monster into RAMPAGE mode, become indestructible, SMASH EVERYTHING in your path! - A huge randomly generated endless city for you to destroy! While Smashy City is entirely free to play the monsters can be purchased for real money. If you do not wish to use this feature please disable in-app purchases in your device's settings. Best on the iPhone 5 and above. - Angry Gran. 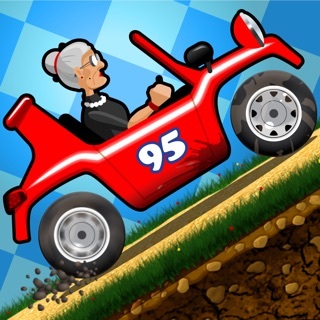 Take angry gran for a rampage through the city in her brand new 3D form!